Here's Barbara Ryan of BFR Mag in front of the wall of zines she's created for our new Brick Lane boutique show, Girls + Zines. We wanted to showcase the work of all the female zinesters out there who create and compile home-made magazines to share their thoughts, obsessions and lives. Spanning a wide range of publications featuring anything from offbeat illustrations and collage to heartfelt musings and humorous revelations, Girls + Zines celebrates the originality of female zinesters. 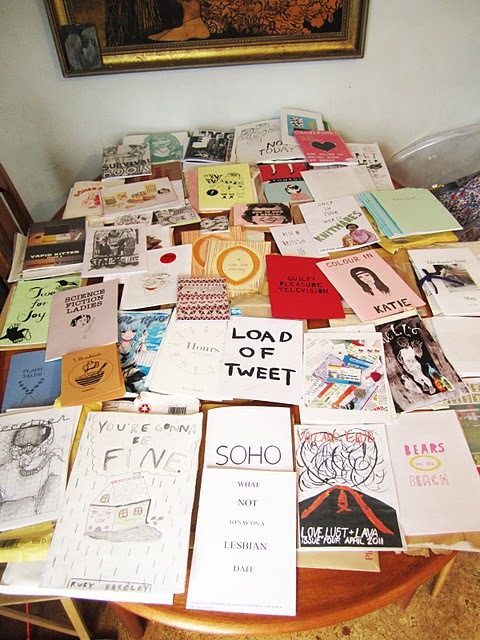 Not only can zine enthusiasts browse our pop-up zine library, while sitting on comfy beanbags, there is also the chance to bring your own publications to display and swap at the in-store zine exchange! Barbara's hung all the zines on pegs on the wall, so bring along your own zine, find a spare peg, and become part of the show. Got a zine you want to show off but can't make it to London? 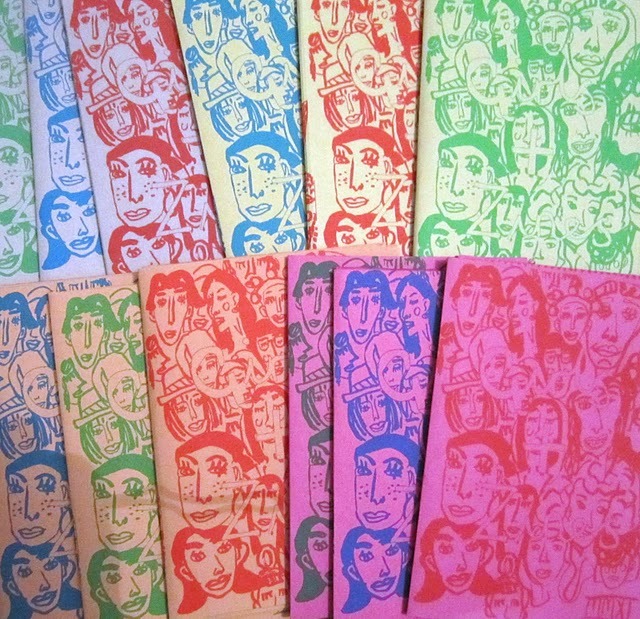 Just post your zine to: Girls + Zines, Tatty Devine, 236 Brick Lane, London, E2 7LH. All featured zines will be archived at the Women's Library after the show and zine converts can pick up a copy of BFR Mag and other publications at Tatty Devine Brick Lane. Come along and celebrate the original and inspiring handiwork of girls who zine - just don't forget your reading glasses! Join the Facebook event.